Promo code SDVILLE already saves $5 on GA passes and $20 on VIP tickets to the main event Concours d'Elegance on Sunday, April 10, but it also saves $15 on passes to the Rolls-Royce Motor Car Contemporary Classic Cocktail Party, taking over The Lot theater and restaurant in La Jolla for a night of luxury on Friday, April 8! 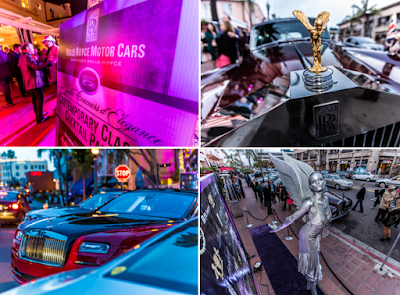 The Rolls-Royce Motor Car Contemporary Classic Cocktail Party is a deliciously elegant VIP reception that will welcome car enthusiasts from around the globe for the launch of the 12th Annual La Jolla Concours d'Elegance weekend of events. 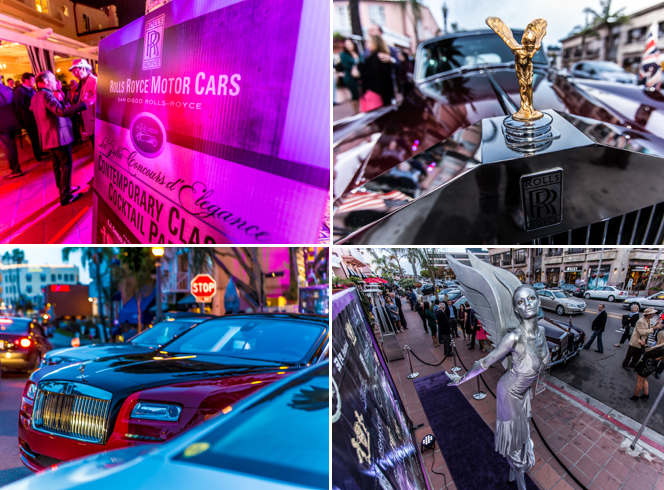 Guests will be escorted into the private event through the showcase of Rolls-Royce Motor Cars on display flanking the extravagant entrance at The Lot in La Jolla. Once inside the exclusive party, culinary bites will excite the palates of all attendees while lively entertainment keeps the rhythm of the enticing evening focused on the bevy of beautiful cars, artwork, and luxe - all of which have become the signature of the La Jolla Concours weekend. Tickets to the Rolls-Royce Motor Car Contemporary Classic Cocktail Party are $150 per person and include unlimited food, drink and entertainment. Promo code SDVILLE saves $15 per pass when purchasing online.